NOTE: The latest version of this page will always be available at www.penmachine.com/word. You can also search my website for my other comments about Word. This page is where I'm posting information for attendees of my May 15, 2004 seminar (and anyone else who's interested) on using Microsoft Word's editing features. As of May 2004, I've been asked to run at least one more of these workshops on Vancouver Island in October 2004, and possibly others in Vancouver around then, or in the spring of 2005. 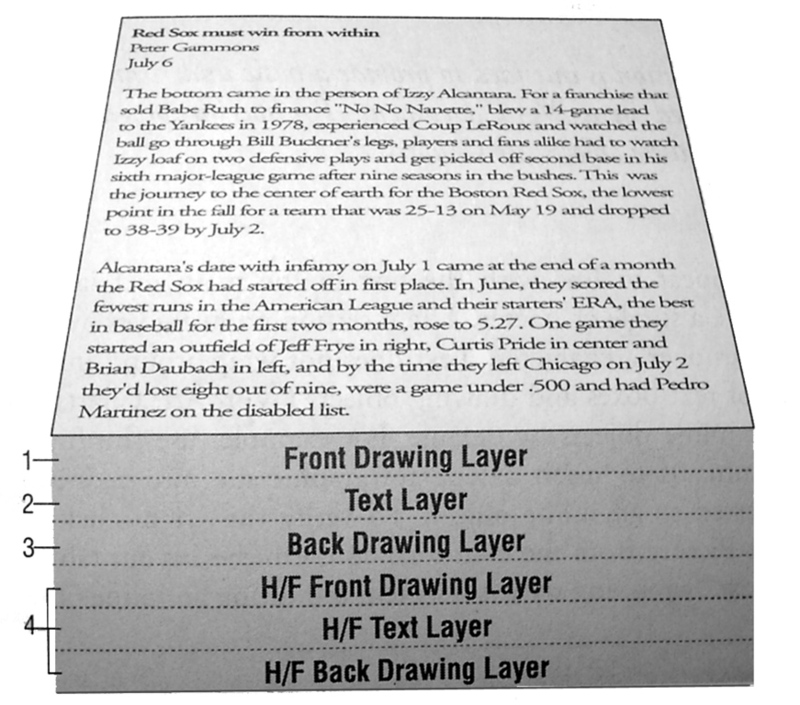 Word's document layers (JPEG graphic file, © 2000 by Walter Glenn), from Word 2000 in a Nutshell (see below). Derek's Groovy Proposal.doc, my sample Word document using styles, layered graphics, and other things I talked about. My rough notes for the workshop (plain text file). There were a number of items I didn't cover. Think Word's automated numbering is complicated? You're right: here's a multi-page website explaining (sort of) how it works. Seminar attendee Saeko Usukawa found a Microsoft page that links to 21 (!) articles about Word's Track Changes and Comments features. Where did Mr. Clippy come from? Word Tips for Editors, a newsletter from Inera, Inc. If Word were simpler, like Nisus Writer Express, would anyone buy it? Should writers use MS Word?